Fostering skills like self-regulation does more to improve students’ future outcomes than helping them raise their test scores. As every teacher knows, they teach not just content but a range of skills students will need to be successful as adults. A recent study shows just how important fostering those skills is: Teachers who help students improve noncognitive skills such as self-regulation raise their grades and likelihood of graduating from high school more than teachers who help them improve their standardized test scores do. Looking at data on over 570,000 students in North Carolina, Jackson found that ninth-grade teachers who improved their students’ noncognitive skills—which include motivation and the ability to adapt to new situations, as well as self-regulation—had important impacts on those students: They were more likely to have higher attendance and grades and to graduate than their peers. They were also less likely to be suspended and to be held back a grade. These benefits persisted throughout high school. The problem, Jackson points out, is that the skills that are valuable for future success aren’t usually measured on tests. And while teachers are often praised for their ability to raise test scores, Jackson’s analysis shows that teachers who improve student behaviors such as attendance yield better long-term outcomes for those students. Jackson found that an increase in measures of students’ noncognitive skills increased their likelihood of graduating from high school by 1.47 percentage points, compared to 0.12 percentage points for a similar increase in test scores. Coupled with the other long-term outcomes found in the study, this adds to the growing body of research showing the impact of developing students’ noncognitive skills. New research in the fields of neuroscience and psychology helps explain why improving noncognitive skills has long-term benefits. In 2017, when we asked our readers to describe the traits of a life-changing teacher, very few of the responses were about test scores or academics. 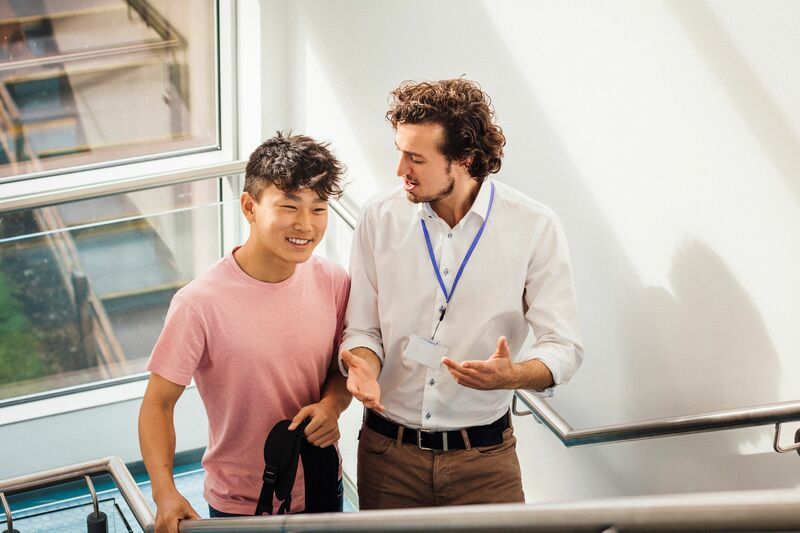 People overwhelmingly said that great teachers make their students feel safe and loved, believe in their students, model patience, and help their students reach their full potential—all qualities that remain largely unmeasured. And students’ long-term success is often less about academics than behavior. Research shows that when students drop out of high school, it’s usually for disciplinary reasons or factors such as financial issues or family needs. Even when students drop out for academic reasons, it’s often due to a lack of engagement. So the best way to keep students in school isn’t necessarily to help them improve their test scores—helping them feel like they belong may have a bigger impact. The takeaway: Measuring the full value of a teacher goes well beyond their impact on test scores. Teachers who improve students’ noncognitive skills also improve long-term outcomes that include their odds of graduating from high school.